"The bottom line here is, what can we do to get riders to come back?" In 2008, Metro logged an average of 750,000 trips every weekday. 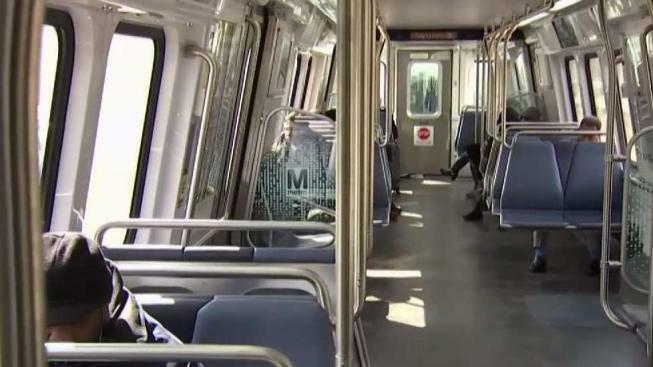 New data shows that last year, ridership dropped to less than 600,000 every weekday, marking the lowest ridership since 2000 and sparking concerns about Metro's future and congestion on D.C. area roads. The figures represent July through December 2018. Metro said the low ridership occurred when major maintenance shut down and seriously affected some lines. General Manager Paul Wiedefeld said the point of the work was to improve the system and to get riders to return. "The bottom line here is, what can we do to get riders to come back? And that's what's really driving these decisions," he said. Metro said it will draw riders back, it just might take time. On the plus side, Metro expects ridership to increase this spring, during cherry blossom season. On the minus side, major construction is coming to the Blue and Yellow lines this summer. Metro rider Roberto Polo-Sherd said that facing high Metro fares, he sometimes chooses to use a ride-hailing service instead of riding the train. "After a long day at work, I'd prefer just to use an Uber," he said. Study after study shows that when more people use ride-hailing services, congestion increases, especially in big cities.